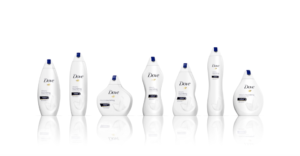 Brands, like celebrities, may be famous for nothing other than the fact of being recognized. They work at their own distinction. Like fashion, brand acceptance is fickle; its time in the sunshine of acceptability fleeting. Developing a successful brand tests just how skillfully you seize the moment; sustaining that moment makes the difference between fortune and failure. Clarity, Consistency, and Commitment. 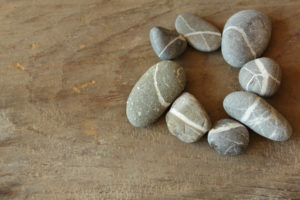 Together, these essentials of successful branding work together to create the cohesive brand. Whether online or on the shelf, a cohesive brand communicates a clear, consistent, and committed narrative with consumers. Brand cohesion, our fourth and final “C,” is the united whole that delivers a readily identifiable, easily understood, uninterrupted and singular brand experience across consumer product and service touchpoints. Know your client/customer. Understanding your client/consumer is the first step to developing a cohesive brand. Do your current or potential customers identify as thought leaders or followers? How do you want your customers to see you? How do you want to be viewed? Understanding your customer and maintaining a brand that consistently delivers on your customers’ expectations is key to maintaining a cohesive brand. Periodic and targeted customer-based surveys focusing on brand awareness, differentiation, acceptance, and experience are an essential part of brand management practice. 3. Buck the trends. Use trends for inspiration but stick to what makes your brand unique. Coors advertised its beer as “cold brewed with pure rocky mountain spring water” for decades. 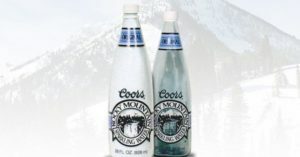 In the 1990’s, responding to concerns about alcohol abuse and the dual trends towards moderate alcohol consumption and significant growth in the bottled water segment, Coors decided to sell spring water. Coors Rocky Mountain Sparkling Water used a similar name and label to that of Coors beer. Beer drinkers balked; water drinkers walked. Coors cancelled its bottled water trademark in 1997. Connect with the right things. Human rights issues are important; the Kardashians may have more than 15 minutes of fame. But the combination of racial tension, police action, #blacklivesmatter and Kendall Jenner to sell Pepsi resulted in one of the most famous brand failures of recent years. 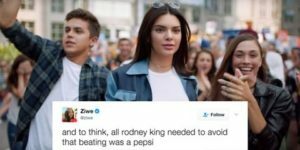 In its now infamous video, Pepsi featured people of all shapes, colors, and sizes enjoying a Pepsi with the police and Ms. Jenner easing racial tension by offering police a Pepsi. Twitter exploded and Pepsi was forced to issue an official apology. Coordinate your brand image across all parts of your business and across all platforms. From the front desk to Facebook, your brand should look, feel, and convey a consistent impression. Use a consistent color palette, font, and design elements. Being consistent with the visual look of all your materials helps create a strong brand identity that won’t be forgotten. But a brand is more than just your company’s product, services, logo, or colors. Your messaging (which by its nature changes frequently) should similarly deliver the consistent impression that distinguishes you from your competitors. Maintenance of your brand through periodic metrics analysis, intellectual property protection and defense, updated and comprehensive guidelines, in-house training, and employment practices is key to maintaining brand cohesion. KJK’s Brand Protection Practice Group can provide sophisticated assistance in brand choice, maintenance, and protection for your brand’s four C’s thorough brand search, guideline development and implementation, personnel policies, and defensive and offensive litigation strategies.